PAUL SMITH has resigned as joint-boss of Highgate United, leaving chairman Ashley Pulisciano as the sole gaffer at the Midland League Premier Division club. 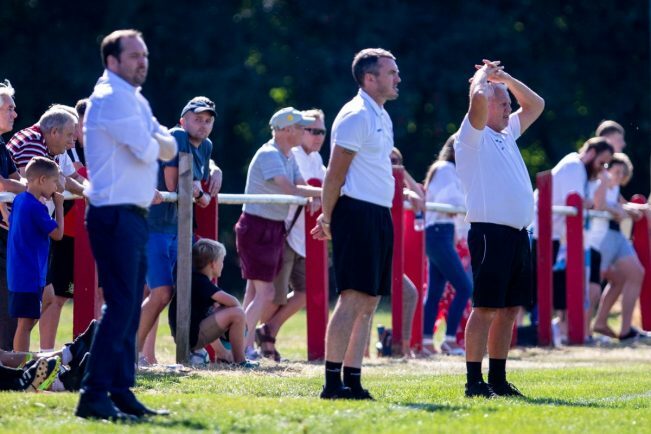 Smith, who stepped down from the manager’s post at Bromsgrove Sporting in February, joined the Gate this summer but the former Studley and Alvechurch boss met with Pulisciano on Monday morning to discuss his future. High on the agenda was the best way forward for the club with the joint-management plan allegedly not working as Smith and Pulisciano had hoped. Both parties agreed the club would benefit by reverting back to a single manager, with Smith stepping down. “After meeting with Ashley, I reluctantly felt the best chance of success for the team this season would be if I stepped down as joint-manager,” he said. “Ash and I have become very good friends and that hasn’t changed. “I just felt the dynamics of a joint-manager role was not working as fluently as it should. “To give the boys the best chance of silverware they need one leader. Ash bleeds Highgate and he should be that man.